It's a very special thing I get to do--being on Christian radio. Sometimes I forget people are listening. Hardly ever do I think about the impact I'm having. Once in awhile when I'm at an event and see our audience face-to-face, the reality comes crashing into me. Suddenly I become hyper-aware of every sentence I udder. Are my words good enough to help someone draw closer to Jesus? Someone I just met shared with me something that will forever free me from that pressure. It was the end of her first marriage. Her husband took her to a busy restaurant and bluntly told her he didn't love her. That he was divorcing her. And with that, she stood up and walked out, broken-hearted. Soon after she prayed for someone to encourage her and she stumbled on a Christian station on her radio. It wasn't any deep, profound thoughts that pulled her back to grace. It was laughter. The female co-host on the morning show had a laugh that oozed joy and love. And with every giggle, the healing began. Are words important? Yes. 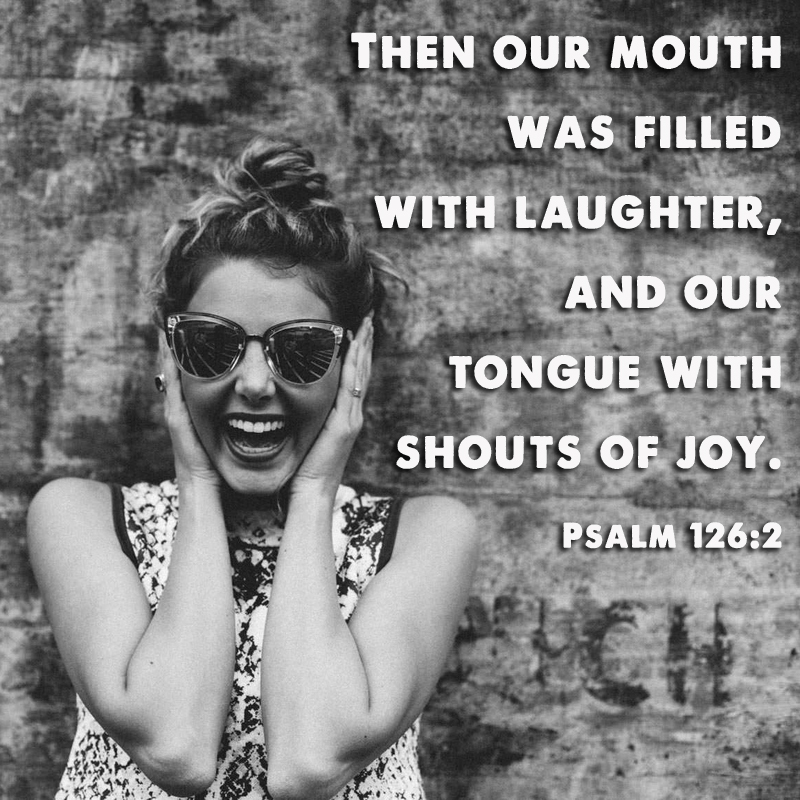 But even more so, is the spirit in which we speak them. If you are uttering profound Bible truth with no love--no grace--no tenderness, you're only telling half of the story. 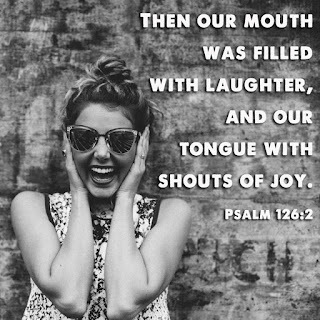 Let Jesus shine through every noise that comes out of your mouth...even if it's just a laugh.